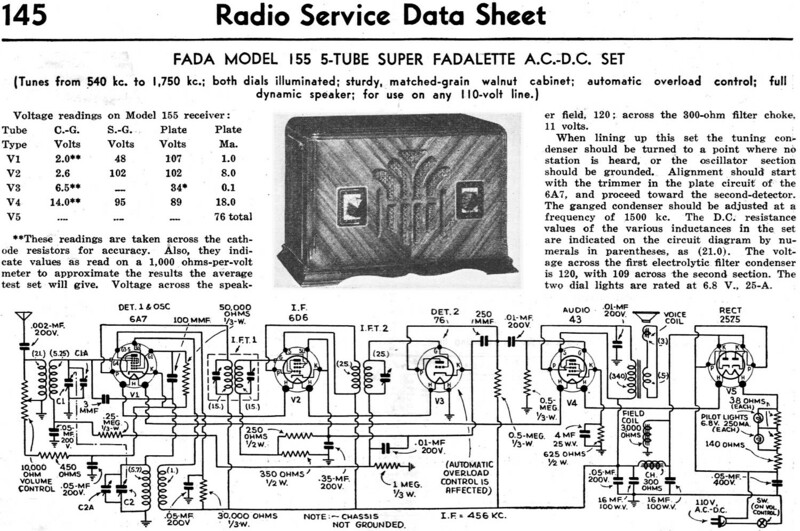 Fada produced a fairly extensive line of "Fadalette" tabletop radio receivers. Evidently, the Model 155 was not overly popular because I cannot find any instance of one online. 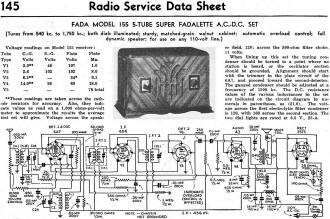 Other examples like the Model 100 Super Fadalette, produced a year earlier, has many examples online. Tunes from ~40 kc. to 1,750 kc. ; both dials illuminated; sturdy, matched-grain walnut cabinet; automatic overload control; full dynamic speaker for use on any 110-volt line. 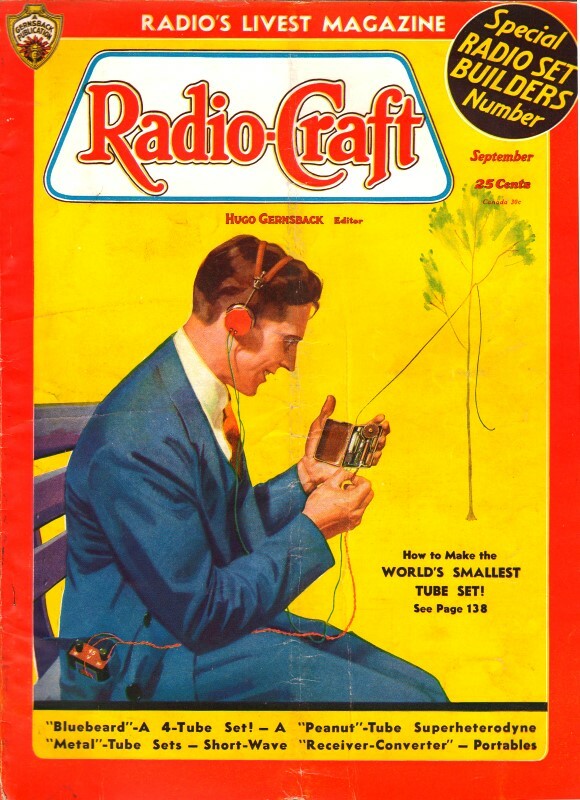 These readings are taken across the cathode resistors for accuracy. Also, they indicate values as read on a 1,000 ohms-per-volt meter to approximate the results the average test set will give. Voltage across the speaker field, 120; across the 300-ohm filter choke, 11 volts. When lining up this set the tuning condenser should be turned to a point where no station is heard, or the oscillator section should be grounded. Alignment should start with the trimmer in the plate circuit of the 6A7, and proceed toward the second-detector. The ganged condenser should be adjusted at a frequency of 1500 kc. The D.C. resistance values of the various inductances in the set are indicated on the circuit diagram by numerals in parentheses, as (21.0). The voltage across the first electrolytic filter condenser is 120, with 109 across the second section. The two dial lights are rated at 6.8 V, 25-A.